Pensions are planned to inch up by at least 200 hryvnya. Prime Minister Volodymyr Groysman says the planned increase of pensions for October will affect about 5.6 million Ukrainians. In the opening remarks before his press conference on 11 April, the prime minister said that the pension reform that his government is planning to launch in the near future will bring immediate improvements. "About 1 million 308 thousand Ukrainian citizens will receive an increase in pensions by at least 200 hryvnya. 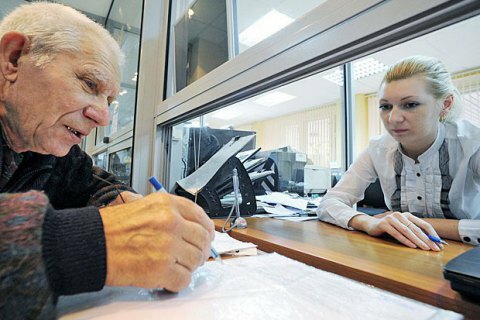 1 million 208 thousand citizens will receive an increase in pensions from 200 to 500 hryvnya. 1 million 993 thousand people will receive a pension increase from 500 to 1000 hryvnia, and 1 million 100 thousand citizens will receive more than 1,000 hryvnia monthly increase as a result of this reform," Groysman said. The indexation of pensions planned to be held in the end of the year will affect 9 million pensioners out of 12 million. Groysman said that the reform envisages abolition of taxation of pensions starting October 1. The Cabinet plans to approve the pension reform bill at the current session of parliament. Its format has not yet been determined but the Verkhovna Rada is set to launch a funded pensions system. It assumes that 2% of a person's salary (with a 1 percent annual increase to 7%) will be deducted to the personal savings account of the future retiree. This cumulative contribution is planned to be deduced from the personal income tax.